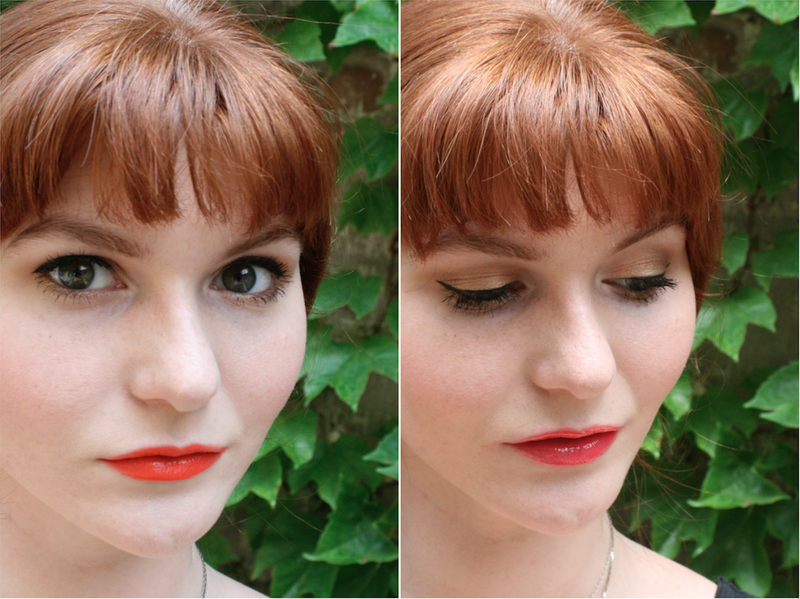 I have been wanting to try a summery orange lip but have honestly just been a bit afraid to. Could I pull it off? Would it just result in a big mess? Whenever I am a bit skeptical on a beauty trend, I look out for drugstore alternatives, so if it is a big fail, at least I am not out too much cash. Here are two finds that I would recommend-even if you don't need any convincing to rock this bright hue. Milani 01 Sweet Nectar is a super pigmented lipstick with a Jolly Rancher Watermelon scent. The bright orange is perfect for summer, and the formula is non-drying and actually easy to apply- I just go straight from the tube. NYX Butter Gloss 06 Peach Cobbler is a softer more peachy creamsicle shade with a super glossy finish. I have heard so much about these butter glosses, and I have to say I agree with the hype. For a gloss, the pigment is amazing, and it's non-sticky but still has some longevity to it. This one has a fruity scent too, a vanilla cherry. Though I am loving the orange, the formulas for these affordable lippies is making me want to check out more shades. Are you a fan of the orange lip?